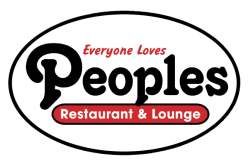 Come to Peoples Restaurant & Lounge and experience it for yourself! Our Up River/IH37 location can accommodate up to 265 people. Our party room will hold 80 people for special events, meetings or any gathering that may require some privacy. We will gladly design a custom menu from our menu selection or create one from your ideas and/or ours. Call us for your next special event. 361-241-8087. Our lounge area has Five flat panel TV's surrounded by a warm atmosphere with lounge seating. Come enjoy a quiet time here with your friends along with your favorite cocktail or cold beer. We are located in the corridor to the Beautiful City of Corpus Christi. We are minutes from downtown, the airport and near many hotels. Located off IH 37, exit 9 Rand Morgan, next to Wilcox Furniture Store.